‘Fiji Water Girl’ is suing Fiji Water after viral Golden Globes meme | SHEmazing! The highlight of The Golden Globe this year had to be the creation of the Fiji Water Girl meme. Model and actress Kelleth Cuthbert went completely viral after she posed up a storm behind various high-profile celebs, all while working as a promotional model for the water brand. According to The Blast, however, the model has just sued the Fiji Water Company and The Wonderful Company. She alleges that they created a marketing campaign based off her viral images without appropriate permission. According to court documents which were obtained by The Blast, 'Fiji Water intentionally created cardboard cutouts for use in a cardboard cutout marketing campaign' one day after the awards. It is alleged that the following day, after the marketing material had been distributed already, the company attempted to make a deal with the model's agent. 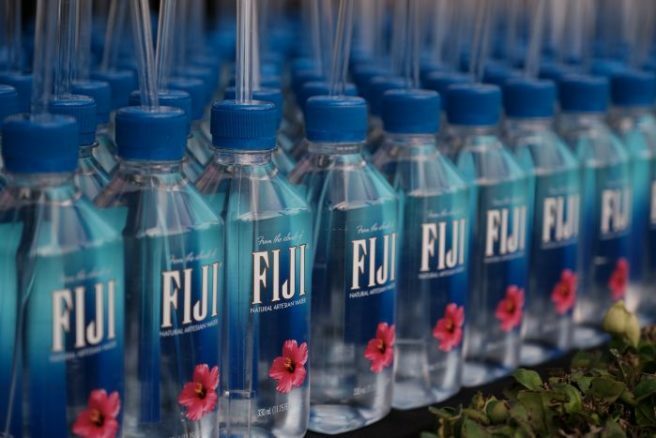 'This lawsuit is frivolous and entirely without merit,' a Fiji Water rep told Bustle. Cuthberth is reported to believe that she made up to $12 million worth of brand exposure for Fiji, and is suing for monetary damages.